To encourage the design and construction of energy-efficient buildings that reduce air, water, and land pollution and adverse environmental effects from energy production and consumption. The requirements apply to 90% of the total building floor area (rounded up to the next whole building) of all nonresidential buildings, mixed-use buildings, and multiunit residential buildings four stories or more constructed as part of the project or undergoing major renovations as part of the project. Each counted building must comply with one of the following efficiency options. New buildings must demonstrate an average percentage improvement of 12% (1 point) or 20% (2 points) over ANSI/ASHRAE/IESNA Standard 90.1–2010, with errata. Buildings undergoing major renovations as part of the project must demonstrate an average percentage improvement of 10% (1 point) or 18% (2 points). Core and shell buildings must demonstrate an average percentage improvement of 11% (1 point) or 15% (2 points). To determine percentage improvement, follow the method outlined in GIB Prerequisite Minimum Building Energy Performance. To be eligible for Option 2, project must comply with all of requirements of Option 2 in GIB Prerequisite Minimum Building Energy Performance. Comply with the applicable recommendations and standards in Chapter 4, Design Strategies and Recommendations by Climate Zone, for the appropriate ASHRAE 50% Advanced Energy Design Guide and climate zone. For projects outside the U.S., consult ASHRAE/ASHRAE/IESNA Standard 90.1–2010, Appendixes B and D, to determine the appropriate climate zone. For new single-family residential buildings and new multiunit residential buildings three stories or fewer, 90% of the buildings must reduce absolute estimated annual energy usage by 20% compared with the LEED Energy Budget for each building. 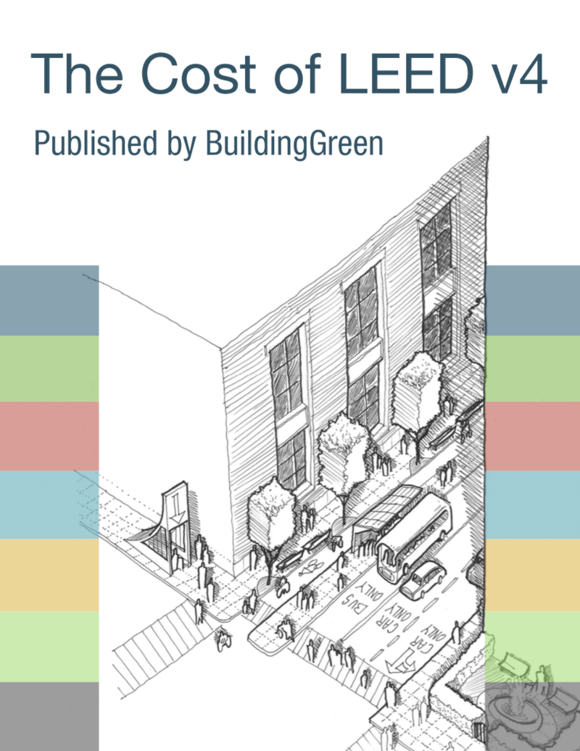 Follow the method outlined in LEED v4 for Homes, EA Credit Annual Energy Use.